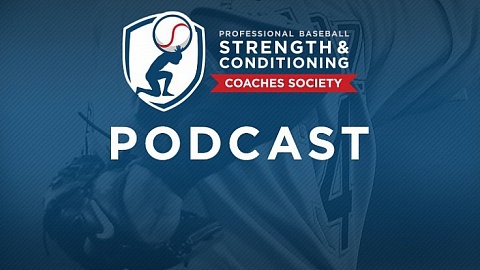 This posting is the first in a 5-part series that discusses the development of the profession of strength and conditioning coach in professional baseball from its inception in 1976 to present day. This series which was originally published in Performance Conditioning Baseball/Softball in 2014 is being reproduced on the Society website to help those new to the profession understand our history and remind those with years of experience how far we have come in a relatively short period of time. The Beginning (1976-1980). My first experience in strength and conditioning for professional baseball occurred in the spring of 1976. The minor league field coordinator for the Houston Astros had become a marathon runner. When the organization brought the top minor league prospects to Florida in September for Instructional League training, he had them run 5 miles per day for conditioning. His thinking was that if he could run 15 miles a day at age 40, a 20 year old should be able to run five. After 3 to 4 days, the players were so sore that they couldn’t practice. The organization had spent a lot of money to bring these kids into Florida but couldn’t do anything with them. The general manager, who had also become a distance runner, instructed the field coordinator to get some help from someone outside the organization. The field coordinator called one of his college instructors and he recommended me. I went to Florida for spring training. The training complex had a large metal building that had a lot of room for indoor stretching, but no equipment for conditioning. There were no weights, medicine balls or stability balls. We borrowed some free weights and began testing minor league players to get baseline data. We started with the bench press and found that, while it was a good indicator of upper body strength, it had no application to baseball. We measured leg strength with a 1-RM leg press, grip strength with a hand grip dynometer, power with a vertical jump, flexibility with a sit-and-reach test, core strength with a timed (one-minute) sit-up test and body composition with a skinfold assessment. Since there were no norms for professional baseball players, we compared the player scores to norms that were developed for college males who had completed 15-week weight training classes that I had taught at Texas Tech University and The University of Texas at Austin. 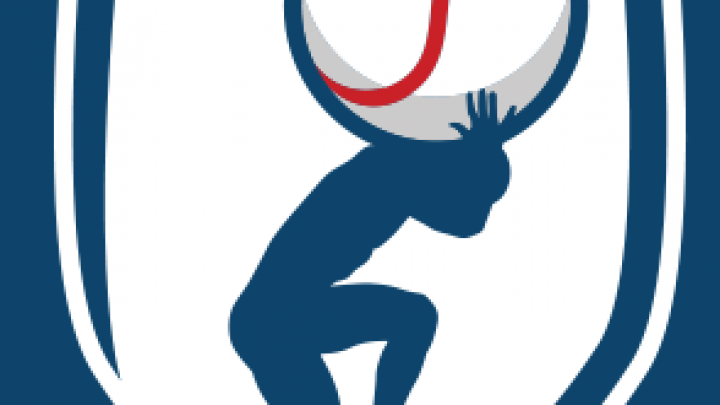 We found the players to be below the trained college students in upper and lower body strength, above average in grip strength and average in flexibility, core strength and body composition. After spring training, we started a training program with the A-ball team. There were no home or visiting weight rooms back then so we did push-ups, lunges, sit-ups and other body weight activities. We re-tested the A-ball players the next spring and they showed significant improvement in all areas. On the night before the last day of spring training, there was a staff meeting to discuss the findings and outline a plan for the 1977 season. Everyone was there, the general manager for the organization, front office personnel for the major and minor league teams and the trainers, managers and coaches at all levels within the organization. The meeting was scheduled to last and hour, but it went on for over three hours. Most of the managers and coaches were very supportive but there were some skeptics. The meeting ended with the decision to continue the program with players at the A and AA level, and if the results continued to be positive, we might expand it to the AAA and Major League teams the next year. 1977 was not a good year for the Astros at the Major League level. There were only 12 teams and two divisions back then, East and West. Everyone played a balanced schedule, i.e., you played every team in both divisions an equal number of times. The Astros were in the West with the Dodgers and Reds who won 98 and 88 games respectively, and had to play the Phillies (101 wins) and Pirates (96 wins) as many times as the teams within their own division. In late July, I got a call from the Minor League Director. The Astros were struggling, 20 games out of first place. He said that the General Manager was aware of what we had accomplished in the minor leagues and wanted me to meet with him, the manager and bench coach the next day to discuss how we could implement a program with the Major League team. During the meeting we exchanged ideas and went over space requirements and equipment needs. The program was approved and I and was given a start-up budget. The general manager wanted to start right away, but I was able to convince him that starting a program this late in the season would not make a difference and that we should wait until the end of the season to initiate a formal training program. The team finished the season in third place – 81 wins, 81 losses and 17 games out of first place. We used the last two months of the season to prepare for the off-season. There were no data on MLB players at that time. No one had collected physiological or performance data on professional baseball players. Goal weights had been determined for each player from height-weight charts and past history of weight and performance. If you had a good year, your weight was OK, if not, you were probably too fat. The team was built around pitching, speed and defense, but they didn’t measure how fast players ran the bases or own a radar gun. Testing. We started a testing program in August and performed a battery of tests prior to home games. 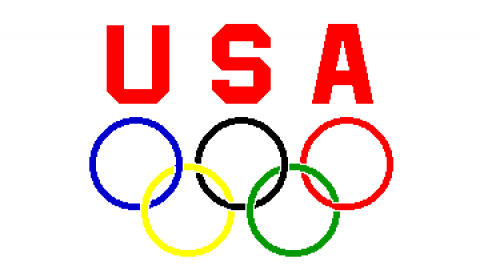 I was working with an astronaut and a group of exercise physiologists at NASA at the time. We were testing applicants for the astronaut program and we were able to use some of the NASA procedures with the baseball players. Aerobics was huge in the 70’s, so we brought in a treadmill and metabolic cart and measured VO2 max. We brought in one of the first Cybex machines and measured unilateral isokinetic leg, arm and shoulder strength. An engineer made a device to measure bat speed using photo electric cells and we borrowed a radar gun from the police to measure throwing velocity. Running speed was recorded during games as players ran the bases. We took skinfolds and tested for grip strength, sit-and-reach, core strength and shoulder range of motion. Using these data, we were able to construct individual and team performance profiles which presented some insight into the physical and physiological requirements needed to play professional baseball. Our baseline data gave us a starting point with which to establish training programs that would be applicable to the sport of baseball. Training. The equipment arrived in September and we used each home stand to explain the program and show the players how to use the equipment so that they would be able to start working out when the season ended. The players that stayed in Houston were given 3 weeks of active rest and then started training. Workouts were held three times per week (MWF) in the Astrodome from late-October until spring training in mid-February. The equipment was transported from Houston to Florida for spring training for the first ten years of the program. When we started in 1978, there were only two other programs in professional baseball. The Reds had a program under the supervision of their head trainer, Larry Starr. This was the era of the Big Red Machine with the likes of Johnny Bench, Joe Morgan, George Foster, etc., so they portrayed strength training in a positive light. The other program was in Philadelphia under the direction of Gus Hoefling, a martial artist. Cincinnati and Philadelphia were the only two places with equipment when we went on the road. Otherwise we went to the YMCA or did push-ups, lunges, mountain climbers, etc. in the outfield or clubhouse. Contributing Factors in Getting Started, One of the major factors that contributed to the success of the program was the fact that the players knew that the Reds had a strength training program, and associated it with their on-field success. 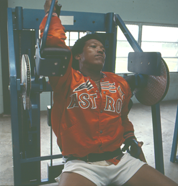 Guys like Bob Watson, J.R. Richard and Cesar Cedeno had lifted on their own in the off-season and they welcomed the opportunity to lift, hit, run and throw in one place, the Astrodome. Watson was the team leader and encouraged his teammates to stay in town and workout. Players were also impressed with some unique testing and support things that we did. The fact that I was a visiting scientist at NASA and was involved in the astronaut testing program provided some credibility with the players. My association with NASA also permitted me access to some technological advances that could be used by the players. Bob Watson experienced a thumb injury on his throwing hand that got better when it was warm and worst when it was cold, and we needed to keep it warm in April because it was going to be cold during our first trip North. We were able to get a sheet of Mylar, the material that NASA used to create a solar heat reflective shield to reduce the internal temperature in Skylab to a tolerable level. I sewed the Mylar into the batting glove for his right hand and cut off the fingers so that he could grip the ball. The Mylar reflected his body heat back into his thumb and kept it warm, especially in Montreal when it was 32 degrees. It also helped that I was a full professor at the University of Houston – Clear Lake and had been an assistant professor and head strength coach for basketball at The University of Texas at Austin. The most important factor, however, was the manager, Bill Virdon. Bill was a Marine, tough as nails and a strong supporter of strength and conditioning. The first day he met with the team and said, “You might make excuses that you got thrown out because you legs were sore from lifting or that you hung a slider because you were tired from running. But those might be the only positive things that you did for yourself off the field. Before you knock on my door to complain, you better be able to tell me that you got eight hours of sleep, ate three meals a day and avoided alcohol for at least a week before your bad performance. If you can lead a clean life and still think that staying in shape inhibits your performance, I’ll listen to you.” There were no problems with the training program after that; Bill’s support was invaluable. In the next posting, we will look at the 1980s and Nolan Ryan’s contributions. Gene Coleman, Ed. D., RSCC-E, FACSM, was the Head S&C Coach for the Houston Astros from 1978-2012, has been a strength and conditioning consultant for the Texas Rangers since 2013 and is currently Professor in the Exercise and Health Sciences Program at the University of Houston – Clear Lake.